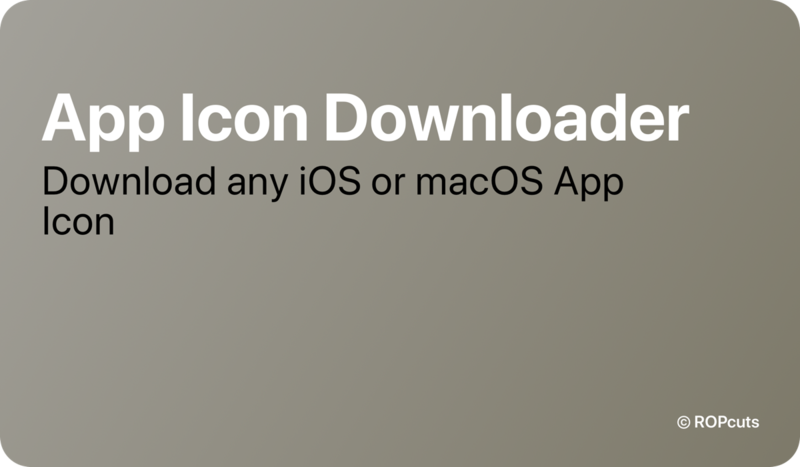 With App Icon Downloader you can search for any app, decide which app icon you need (iOS/macOS) and finally save and share it. If the icon has a square format (mostly all iOS icons), don’t worry, you can generate a rounded rectangle or a circled version in another step. The image file gets the name of the app and you can send it via AirDrop, iMessage, WhatsApp or Mail. If you wanna save it to your device, select between Photos and Files. 1.3 - Jan. 2, 2019, 7:52 p.m.
Now you can not only download icons, but also create a rounded rectangle and circle shape. Some other navigation improvements.